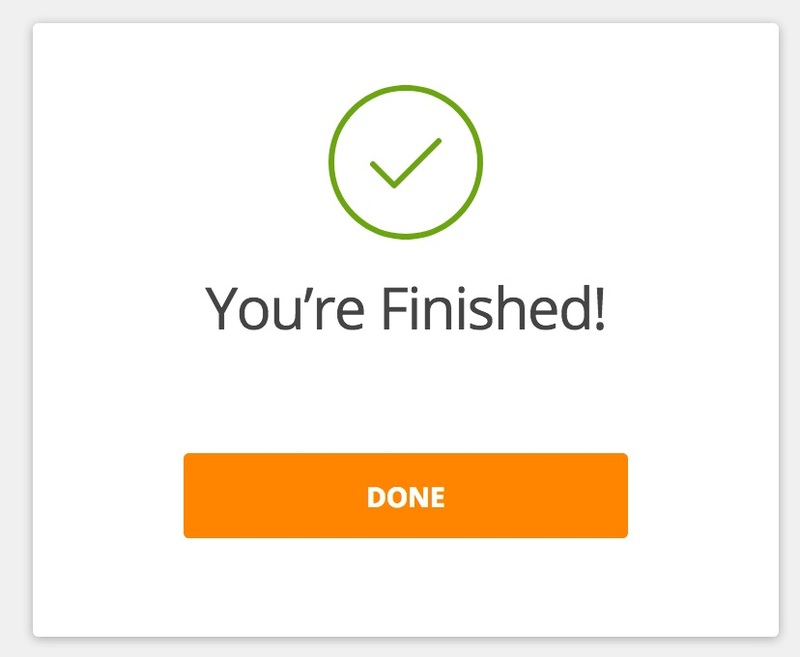 When delivering a benchmark, you'll have the option of allowing students to see their scores immediately after they finish and submit the assessment. The student will be able to see the number of correct responses and their mastery level. This can be set during the initial delivery of the benchmark, or it can be turned on for a benchmark already in progress. 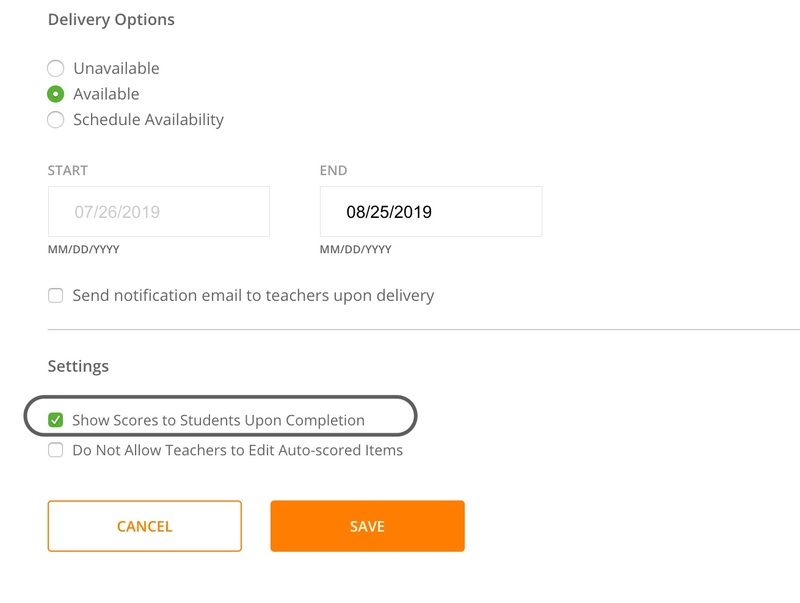 When you set up benchmark availability for the first time, the option to allow students to see their scores upon completion is going to be set by default. If you do not change this option, your students will see something similar to this after submitting the assessment. To hide the scores from your students, click on the Availability Tab. Scroll down to view the Options On Delivery. Uncheck the Show Scores to Students Upon Completion check box. Now, your students will see this when they submit the assessment. If the benchmark has already been made available, you can still change this setting at any time by clicking the Edit button on the top right of the Availability tab, and selecting or clearing the check box.